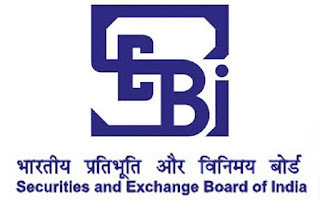 SEBI invites applications from Indian citizens for the post of Officer Grade A (Assistant Manager) - General, Legal, Information Technology, Official Language and Research Stream.Securities and Exchange Board of India (SEBI), is a statutory regulatory body established by an Act of Parliament, to protect the interests of investors in securities, to promote the development of and to regulate the securities market.SEBI reserves the right to fill up the posts or not to fill up the posts at all. The incumbent will be on a scale of pay of Officer Grade A in the scale of Rs.28150-1550(4)-34350-1750(7)-46600-EB-1750(4)- 53600 -2000(1)-55600 (17 years). Presently, the gross emolument including Board Contribution towards National Pension Scheme (NPS),Grade Allowance, Special Allowance, Dearness Allowance, Family Allowance, Local Allowance etc. at Mumbai at the minimum of this scale is approx. Rs. 92,000/- p.m. without accommodation and Rs. 62,000/- p.m. with accommodation. Masters Degree in Economics/ Commerce/ MBA/ Post Graduate Degree in Management / Post Graduate Diploma in Management with 55% marks, CA/CFA/CS/ICWA OR Bachelors Degree in Law from a recognized University/Institute with minimum 55% marks or LLM OR Bachelor’s degree in electrical/ electronic/ electronics and communication / information technology/ computer science Engineering with minimum 60% marks. Minimum age 18 years & maximum age 27 years. Mode of selection for the General, Legal, Information Technology, Official Language and Research Stream will be On-Line Examination and Interview. An online examination of two hours duration consisting of Objective type (Multiple Choice) questions for 200 marks will be held on June 25, 2017. Candidates would have to secure minimum marks separately for each section, based on Group Performance, as decided by SEBI. On fulfilling the criteria of minimum cut off marks in each subject, candidates will be shortlisted based on Group Performance as decided by SEBI. List of candidates shortlisted for interview will be made available on SEBI website. Only the shortlisted candidates will be called for interview. Application fee shall not be refunded to the candidates not shortlisted for the interview. Candidates are required to apply On-Line through the website www.sebi.gov.infrom 03.05.2017 to 24.05.2017 and no other mode of application will be accepted. Candidates need not submit the system generated print out of the ON-LINE application to SEBI's office.